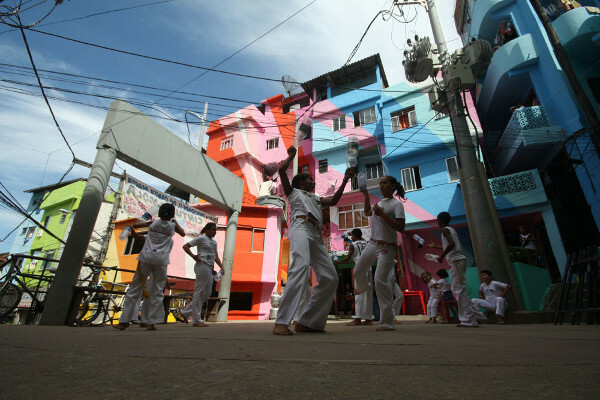 “I’ve never been to a museum in my life, and now I’m living in one,” said one of Brazil‘s poorest of her Vila Cruzeiro favela neighborhood. 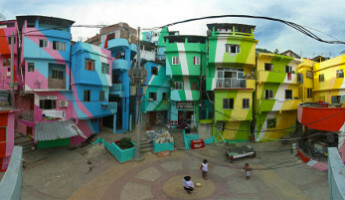 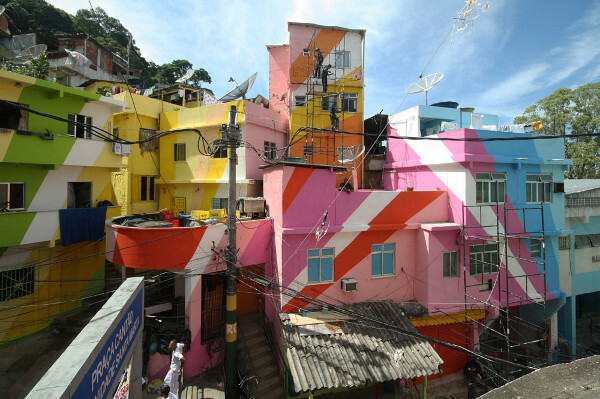 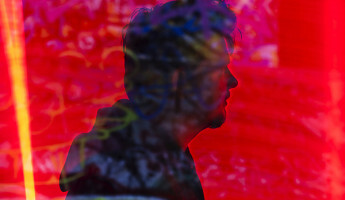 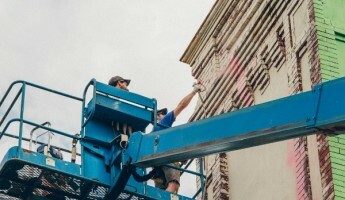 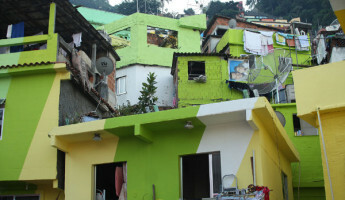 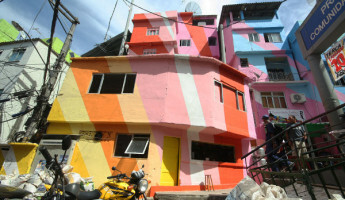 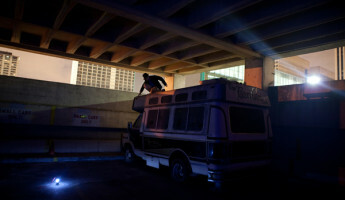 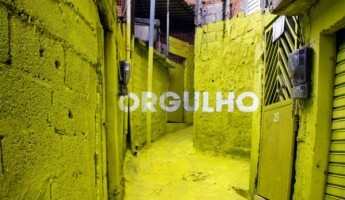 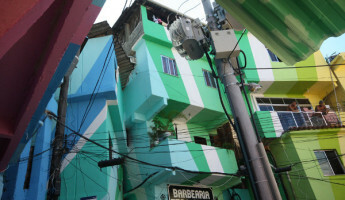 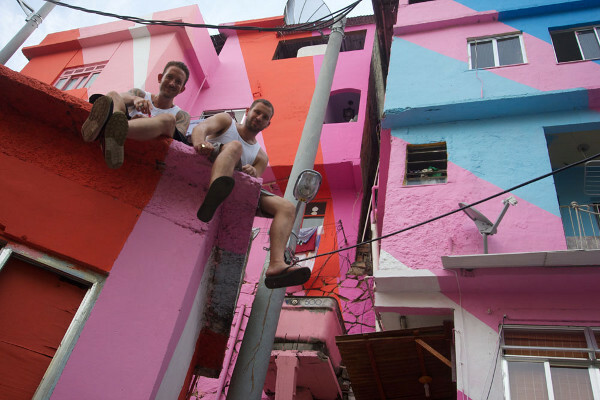 Dutch artists Jeroen Koolhaas and Dre Urhahn perform a vibrant form of charitable art they call “Favela Painting“. 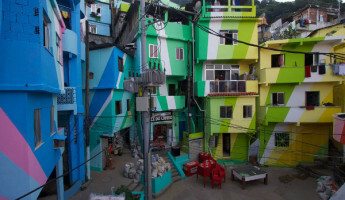 A favela is a Brazilian shanty town that houses the city’s poorest citizens, those who cannot find gainful work or a proper home. 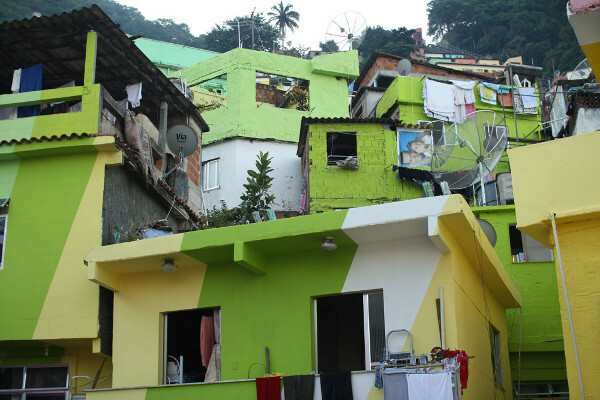 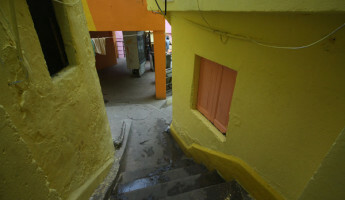 These run-down ghettos are dangerous and dilapidated, roundly ignored by Brazilian city governments. 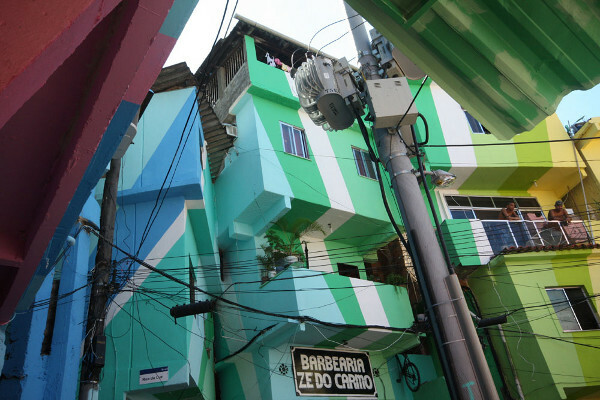 Where charity has forgotten Brazil’s favelas, Koolhaas and Urhahn have aimed to instill pride in the poor by giving these neighborhoods an entirely new, entirely artful appearance. 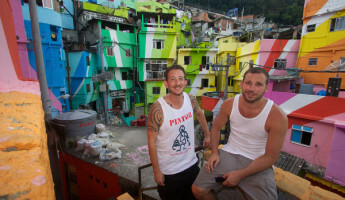 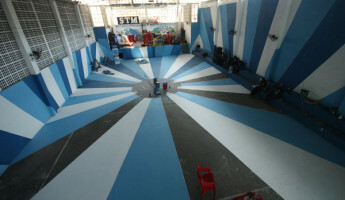 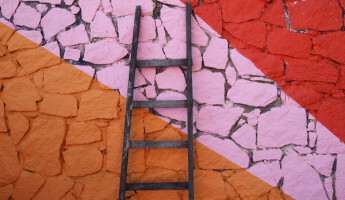 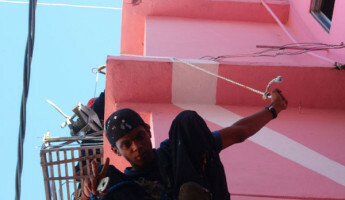 The team at Favela Painting travel to Brazil’s favelas, live there among the poor and organize teams of local citizens who join them in their art. 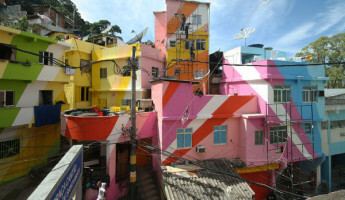 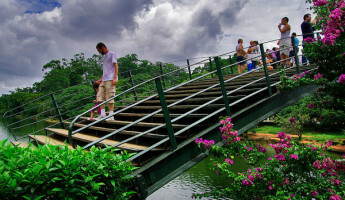 Koolhaas and Urhahn propose paint pieces that re-invent the neighborhood and produce them hand-in-hand with the locals. 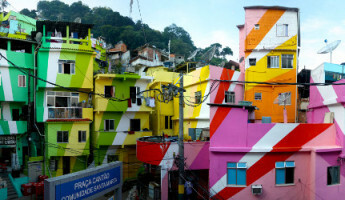 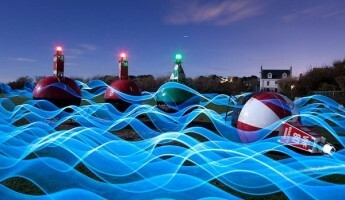 The results are absolutely stunning, a colorful mix of geometric patterns that turn the ignored, the ugly into living works of art. 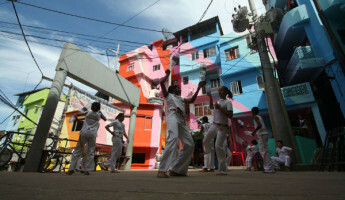 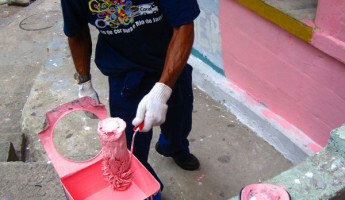 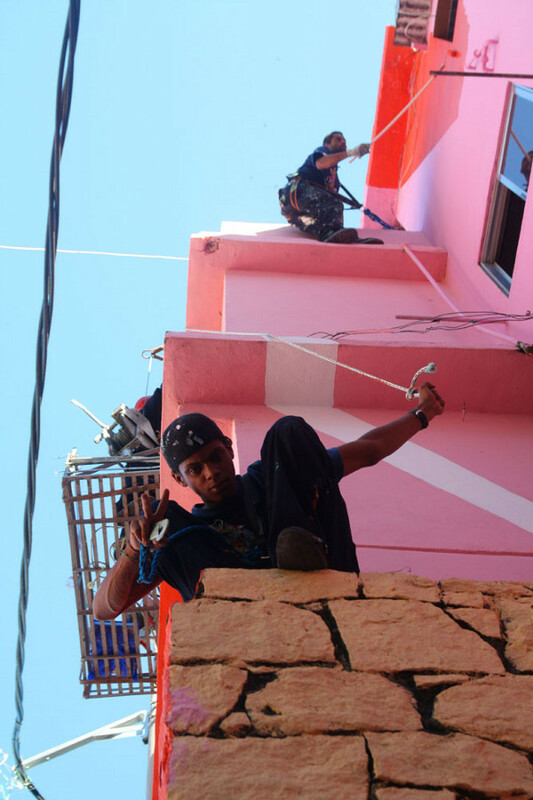 Those who live in these Favela neighborhoods can take pride in their homes and their communities, thanks to the charitable work of the Favela Painting team.